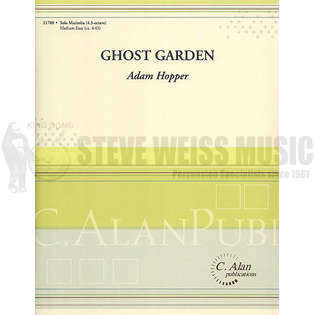 Ghost Garden by Adam Hopper for solo 4.3-octave marimba. This four mallet piece is inspired by vacant and abandoned lots. These areas, once reclaimed by the earth, are sometimes referred to as Ghost Gardens. 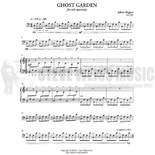 In this piece, you can hear where the lot once held a vibrant and exciting tone, only to slowly fade away and change. Through a series of transitional themes, the main idea reforms and comes back as the piece concludes, thus depicting the beauty of the land as it is reimagined. Found the song from watching YouTube late at night and I knew I needed to play it. Suprisingly simple four mallet part for such a melodic part. Would recommend for a performance.